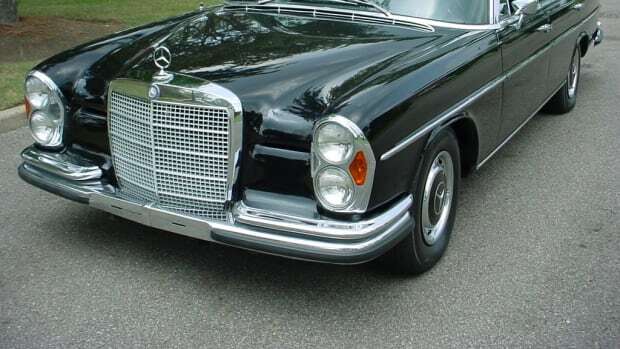 Last month we broke the news that Steve McQueen’s Mercedes-Benz 300 SEL was being auctioned off in NYC. 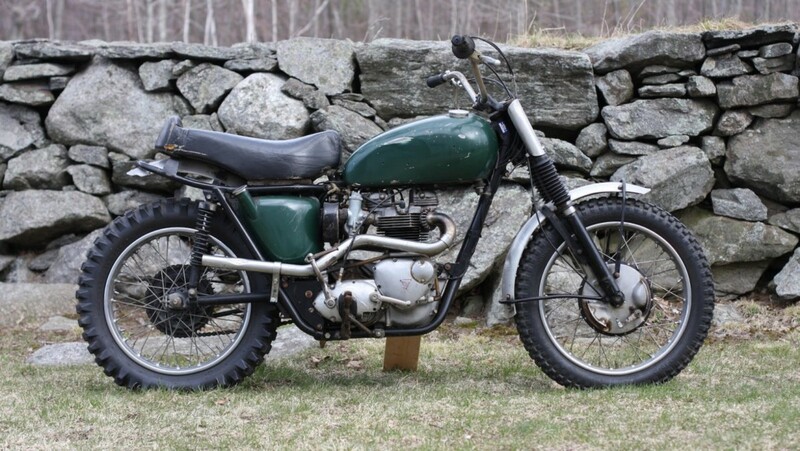 Now we can reveal that his equally beloved 1963 Triumph Bonneville will be sold at Bonhams’ Las Vegas Motorcycle Auction at Bally’s Hotel & Casino on Jan. 7. Modified by McQueen’s good friend and stunt driver Bud Ekins and painted by the legendary Von Dutch it's expected to go for $50,000–$60,000. The King of Cool’s ’63 Bonneville, arguably one of the most important Triumphs that he owned and raced, was featured in the June 1964 edition of Cycle World Magazine. 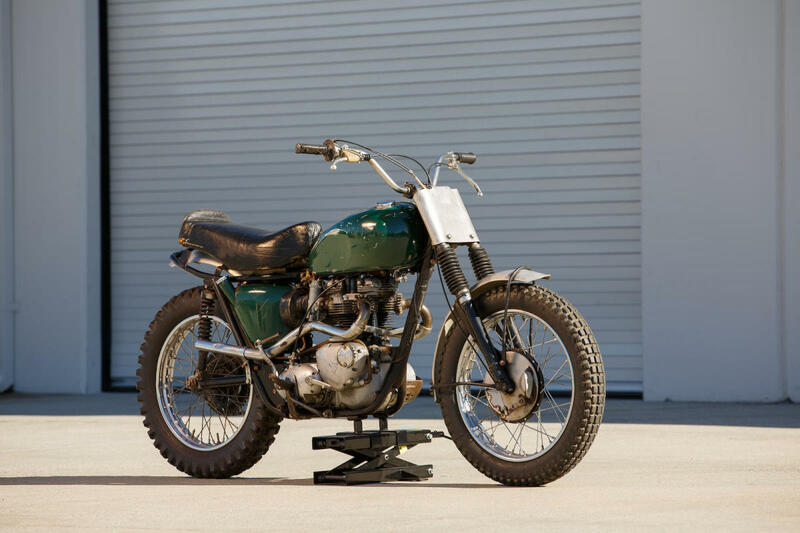 Ekins, one of McQueen’s closest friends and the man credited with getting him hooked on off-road motorcycle competition, modified it for desert racing at his shop in California with special skid plates, springs, wheels, filters, pipes, tires and more. McQueen raced Triumphs in many top off-road races on the West Coast, including the Baja 1000, the Mint 400 and the Elsinore Grand Prix. 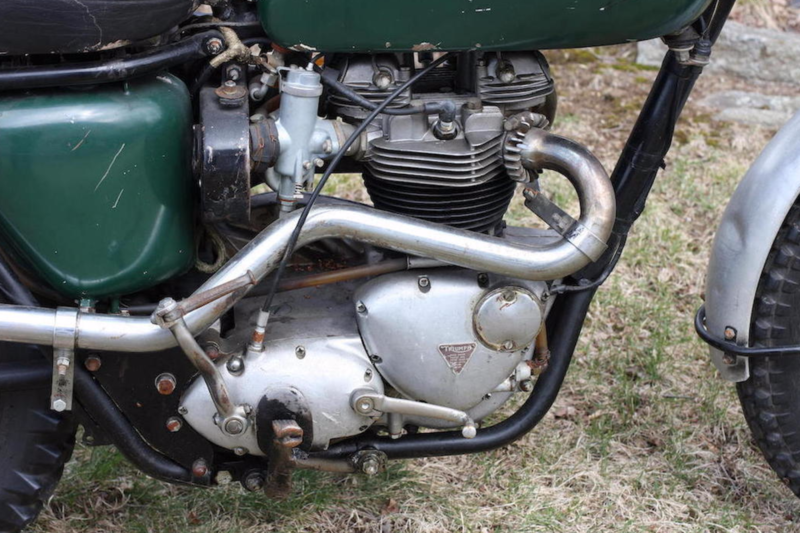 Triumphs were also used in 1963’s The Great Escape with Ekins performing several of McQueen’s stunts. 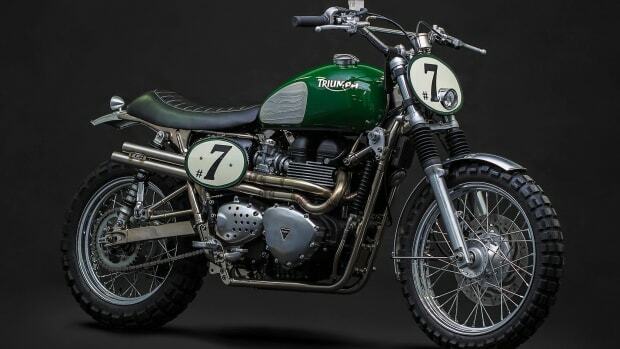 In 1964, together with Bud Ekins on their Triumph TR6 Trophys, McQueen represented the United States in the International Six Days Trial in Germany. 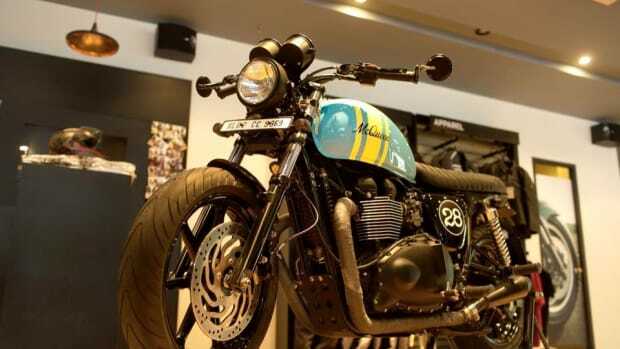 The bike, which originally featured the Triumph logo painted on the tank and McQueen's racing number, was sold for $84,000 at auction in 2009, so we think Bonhams’ estimate is on the low side. 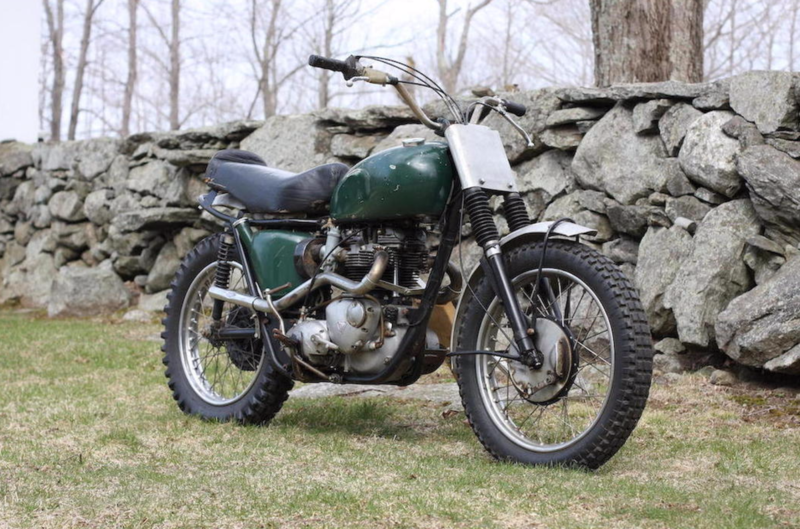 No matter what the price its a pretty unbeatable piece of motorized McQueen memorabilia, and we expect the bidding will be pretty fierce.